Put the correct email of the supervising facstaff will not receive your proposal. As a junior or senior, you can request only one Independent Study (IS) or one Teaching Assistantship (TA) position per semester. You must already have six required courses before you apply for an IS or TA as the 7th course. The supervising teacher of your IS may require a public exhibition of your work. 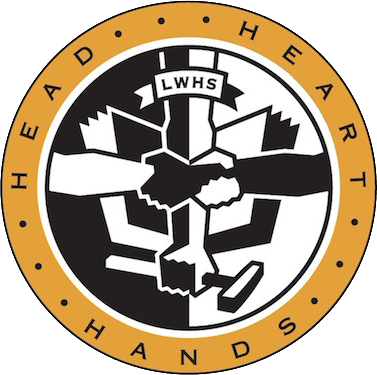 Independent Studies must investigate a topic in a discipline not offered at LWHS (e.g. Economics) or a topic not covered in-depth in the curriculum (e.g. Native American History). While a teacher must supervise your IS, the work of planning and executing the IS is your responsibility. Each teacher may supervise only one IS per semester. Your combined proposal should be at least one paragraph but should not exceed two pages. Each independent study student is required to meet with their advisor once a rotation during a free or Tutorial. On average, students are expected to spend anywhere from 2–6 hours a week outside of their regularly scheduled meeting on the PPP (volunteering, educating others, fundraising, advocacy. etc.) and curricular (researching, reading books, listening to podcasts, watching films, writing, etc.) aspects of the course. Your application is not complete until you submit a paper copy of this form (emailed to you) with dated signatures to Assistant Head of School Randy Barnett. As a junior or senior, you can request only one TA position or one Independent Study (IS) per semester. You must already have six required courses before you apply for an IS or TA as the 7th course. You can only TA a course that you have successfully completed. All TA’s are graded Pass/Fail. Your work should not be restricted to photocopying and filing. Rather, you should be exposed to what it means to be an assistant teacher through meaningful activities: lesson planning, testing labs, facilitating group work, creating evaluations, and so on. Each TA must be assigned to a specific section/block of the course. You are expected to attend all class meetings. You are included in the class roster. Additionally, you should meet at least once per rotation outside of class with your supervising teacher. I.E: A portfolio, write-up of a new lab design, or conference presentation.